Almaty is a glistening and bright city land-locked in the south of Kazahkstan, surrounded by rugged, snow-capped mountains. Despite not being the capital, this vibrant metropolis is the largest city in Kazahkstan and is considered the commercial and cultural capital of the region. 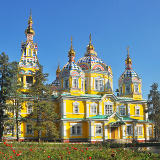 With European and Cossack influences, Almaty is a city rich in diverse architecture and culture. 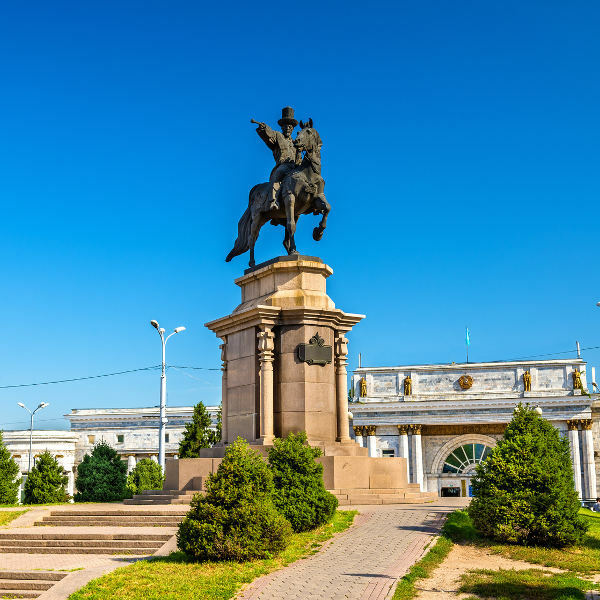 Cheap flights to Almaty are now available for a limited period of time, so prepare to be amazed by this city’s fascinating history and exquisite natural surroundings! Almaty is home to Almaty International Airport (ALA), located 30 minutes from the city centre by car. Almaty International serves a multitude of airlines including EgyptAir, Turkish Airlines and Air Astana. There are no direct flights from South Africa to Almaty, but popular connecting flights to Almaty depart from Johannesburg, Cape Town and Durban. 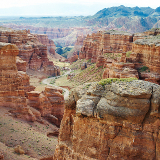 Experience the rugged, untouched beauty of the Kazakh landscape surrounding Almaty. Local mountain trails and hikes are available, and a visit to Big Almaty Lake is an absolute must. Almaty has both European and Asian influences evident in its architecture and way of life. The local culture is a vibrant Eurasian fusion. Learn about the fascinating history of this city dating back to the Bronze Age. Explore local finds and artifacts excavated by archaeologists at one of Almaty’s numerous museums. Almaty’s climate is a humid, continental climate and experiences hot summers and cold winters. The coldest months are from October to April. April is Almaty’s rainiest month. The best time to visit Almaty is during the summer time (between June and September), when temperatures are warmer and more pleasant. This is peak tourist season so rates will be higher at this time than other times of the year. October to April is low-season in Almaty, so if you don’t mind the extreme, cold temperatures then take advantage of the fantastic specials that most hotels and restaurants will have on offer. Be aware that snowfall in winter is common in Almaty, so stay up-to-date with weather predictions around the time of your trip, and pack plenty of warm clothing. Almaty in Kazakhstan is a central, land-locked city found at the banks of snow-capped mountains. Rich with history, this city traces its roots back to the warring Cossack tribes of Kazakhstan, influencing its strong Eurasian heritage. Today it is the most commercially developed, ethnically diverse city in Kazakhstan. With beautiful orthodox architecture and a modern, cosmopolitan atmosphere one might be mistaken for thinking they were in a European city. 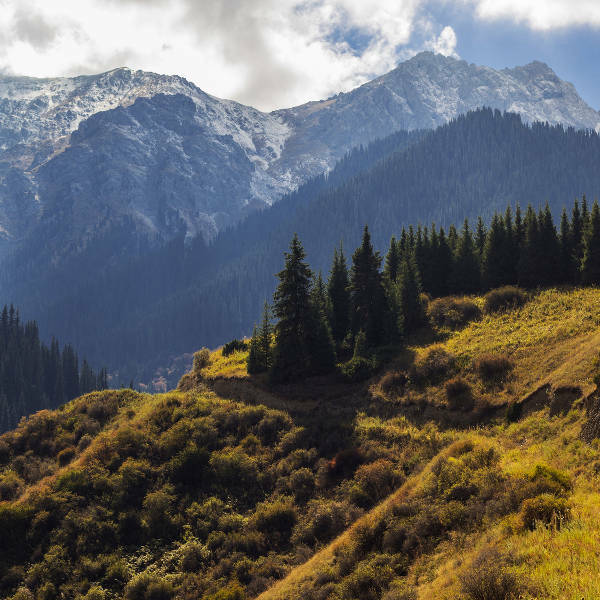 Almaty is surrounded by incredible natural beauty unspoiled by industrialisation or development. The city is backed by the majestic Zailiyskiy Alatau Mountains and is a stone’s throw away from Big Almaty Lake which is easily accessible by car. 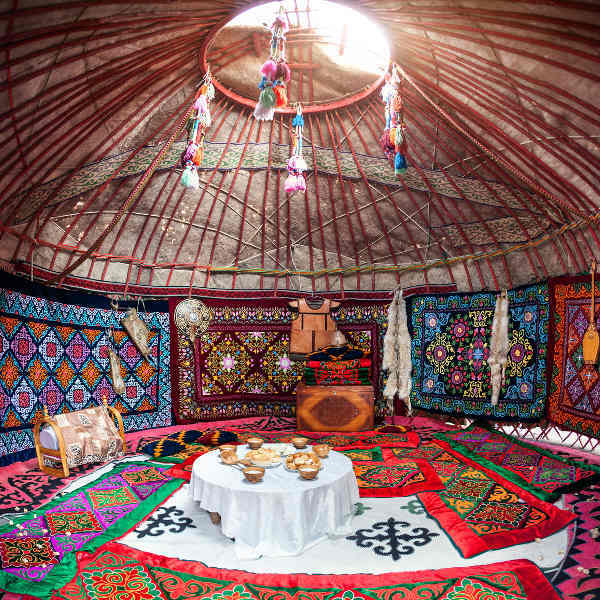 Be sure to sample delicious local Kazakh cuisine in a yurt, which is a nomadic tent traditionally utilised by the indigenous Kazakh population. Compare several airlines, and book your cheap flights to Almaty online at Travelstart. South Africans do require a visa to enter Kazakhstan. Leave plenty of time for visa processing. Ensure your passport is valid and will remain valid for at least six months after intended duration of stay. There are no mandatory vaccinations for entry into Kazakhstan, but it is recommended that visitors be up-to-date with all regular vaccinations (MMR). The crime rate in Almaty is not high but tourists are encouraged to be vigilant at all times and keep a close eye on possessions. It is safe to walk the city streets during the day but walking is not encouraged at night, as muggings are known to occur. Arrange shuttle services with your hotel or utilise a clearly-designated taxi cab to get to and from your destination. Hospitals and medical services in Kazakhstan are not as developed as in other countries, and many hospitals require payment up front. It is advised to take out comprehensible medical insurance before travelling to Almaty in the event of a medical emergency. Almaty’s city centre is peppered with a wide variety of accommodation options for visitors. Five-star hotels, luxurious apartments for hire, budget hotels, bed-and-breakfasts and self-catering accommodation are all available. The city centre buzzes with excitement and activity and is in close proximity to major attractions as well as public transport. Almaty’s public transport is developed, extensive and convenient. An array of transport options includes buses, trolleybuses and trams all of which follow set routes around the city. Bear in mind that these facilities can get very crowded during peak traffic, so if you are carrying heavy luggage it would be better to hail a taxi cab. Taxis are clearly designated with a “TAXI” sign, so do not be fooled by unmarked vehicles claiming to be taxis. These are usually scammers who try to overcharge tourists. Be sure to hail a legitimate taxi cab and agree on a set fare before getting in. The Almaty metro is quick and cost-effective, taking commuters all around the city. It is extremely safe to use during the day, however it is not advised to use the metro late at night.